BMS Pest Control offers a fast, effective and professional service at affordable prices to rid your home or business of Mice. Our treatments are safe, clean and are carried out at a time that is convenient to you. We will be happy to answer any questions you may have and to offer help and advice. Call us now on 01202 710635 (Poole) or 02380 (Southampton) for a free, no obligation quotation. Alternatively, you can fill out the form below and we will contact you. We will carry out a thorough investigation of your property to determine the extent of the problem and to identify areas where the Mice could be getting in. 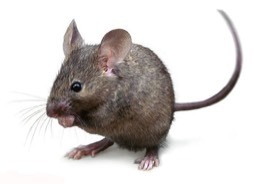 We will then place rodenticide bait in the areas where we have found signs of Mouse activity (common areas include the roof space, in cupboards, under kitchen units and behind appliances). We will then return at a later date to check that that the bait has been taken and to remove any untouched bait. If all the bait has been taken we may need to carry out additional visits to ensure the Mice have been completely eradicated - this will be discussed with you during our survey. As it is a legal requirement to remove bait after a treatment, a baiting programme will always consist of a minimum of two visits. We don’t usually treat for Mice outdoors, though Mice in garages, sheds and outhouses are common. Bait will always be placed in tamper proof locked boxes wherever there is a possibility of children or pets gaining access to it. As with other treatments, a minimum of two visits will be required. To ensure the success of a Mouse treatment, it is very important that no other food sources are available to the Mice. Therefore we ask that any food with soft packaging (biscuits, cereals etc) either be moved or placed in plastic containers. In garages or sheds it is important things like pet food or bird seed are also moved or stored in plastic containers. After treatment we will remove all bait. We will then provide you with a written treatment report and give help and advice on keeping your premises rodent-free in the future. If any Mouse proofing measures are required (e.g. blocking holes) we will be able to give you a no obligation quotation for this. House mice are vectors of various diseases including Weils disease and Salmonella. They carry parasites including ringworm, mites, tapeworm, ticks and fleas. They can cause considerable structural damage due to their need to constantly gnaw. A mouse gnawing through a cable or electric plug can pose a serious fire risk. They are a considerable financial threat due to their destruction and contamination of stored food. Control is achieved by using anticoagulent rodenticide baits or traps which are placed throughout the infested premises, often in roofspaces and behind kitchen appliances.